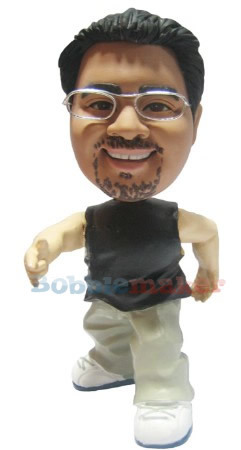 This custom bobblehead is wearing baggy pants and fly kicks. This custom bobblehead is dressed the part to be a hip hop star. This custom bobble makes a perfect gift for the man who has everything.